Insanity-doing the same thing and expecting different results. The deal with Iran entered into today so far doesn’t even sound as tough as the deal from nine years ago with North Korea. 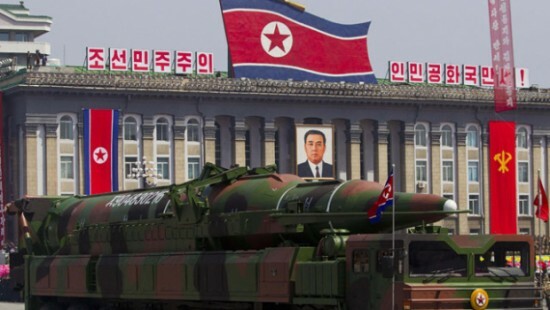 The deal provided North Korea the opportunity to get nuclear weapons at least by 2006. Now they can’t be touched. This flashback almost sounds word-for-word what we are hearing now. I hate retread Neville Chamberlains! Clearly delighted by what he considers a victory for his foreign policy, the President appeared before television cameras to hail the agreement as “the first step on the road to a nuclear-free Korean peninsula.” He instructed Special Ambassador Robert L. Gallucci, the Administration’s lead negotiator with North Korea, to sign the accord Friday in Geneva. However, the White House refused to release the text Tuesday, and Administration officials said that it will not be made public until after it is signed. Instead, Gallucci and other U.S. officials briefed reporters on what they said are its principal elements. The accord, concluded Monday in Geneva, gives North Korea a series of economic and political benefits in exchange for promises to freeze and eventually dismantle its current nuclear facilities, which the CIA believes have been used to make the material for one to two nuclear weapons. North Korea will dismantle two large nuclear reactors now under construction, which would have had the potential to make enough fuel for hundreds of nuclear weapons. Operations of an existing, smaller reactor at Yongbyon will also be stopped, and it too will eventually be dismantled, U.S. officials said.